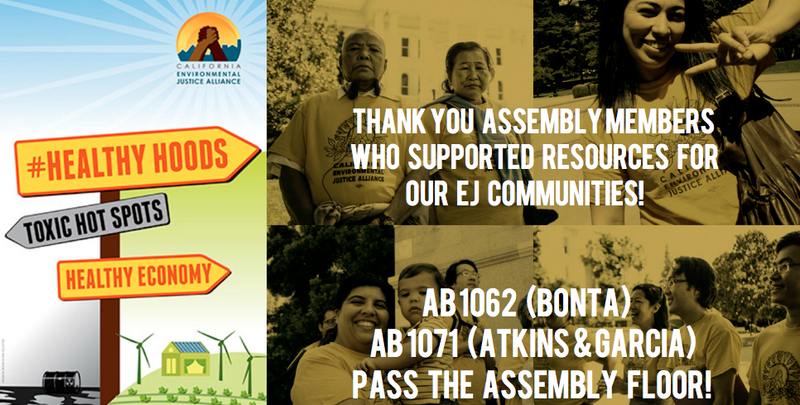 AB 1062 & AB 1071 pass Assembly with majority votes today! A step forward to securing more resources for Environmental Justice communities! The vote count was unanimous as AB 1062 passed with a 63-1 vote and AB 1071 with a 70-0 vote.